Effective 1 April, Jesper Dalsgaard steps into the role of Managing Director of Ramboll’s €366 million Environment & Health business, which accounts for 30% of Ramboll’s business portfolio. Dalsgaard assumes leadership from Tom Vetrano, who has led the business through impressive growth for 15 years – the last four following Ramboll’s 2015 acquisition of ENVIRON. 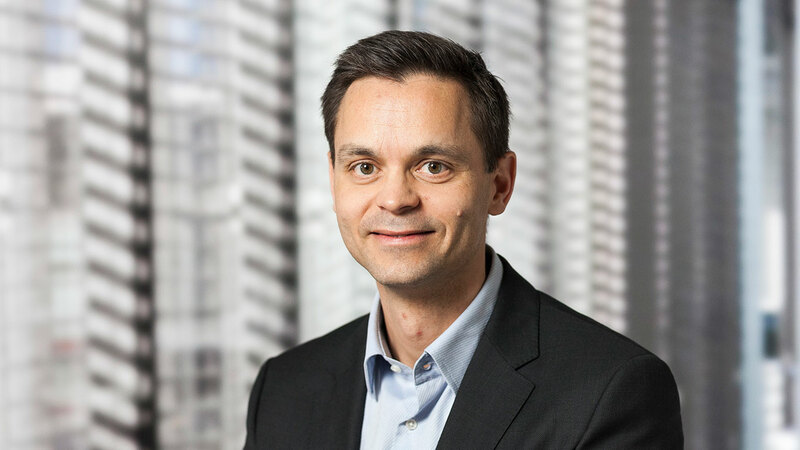 A leader with significant international experience, for the past few years Jesper Dalsgaard has served as Managing Director of Ramboll's global Buildings business, where in recent years he has generated annual growth rates of about 7% – well above the market. “Jesper Dalsgaard is a strategic, results-driven leader. As director of our Buildings business, he has proven that he can run a global business and deliver great growth rates. With his strong management consulting background, deep insights into the consulting business and extensive experience in international business development, Jesper has the prerequisites for being able to take Ramboll to the next level as a global adviser in the environmental market,” says CEO Jens-Peter Saul. The global environmental market is growing by 5-6% annually. In 2018, Ramboll's growth in the market was 10%. The business success is driven partly by tremendous growth in the US. Ramboll's US position was further strengthened by the January acquisition of the Syracuse-based engineering company O’Brien & Gere (OBG), which added 900 new employees, including 300 environmental experts to Ramboll. In just five years, the Environment & Health business has cemented its leadership position in the global market. Ramboll is now among the world's 10 leading environmental consultancies according to industry analyst and intelligence source Environment Analyst (2019). According to Jesper Dalsgaard, sustainability is an important driver of the high growth in the global environmental market: “Previously, environmental services and studies were driven by mandate and regulation. Today, sustainability has become a distinctive driver for creating competitive advantages for our clients.” Focusing on clients and projects that are driven by such market and reputational forces positions Ramboll to continue to achieve growth that outpaces the market. Linking sustainability to new technologies makes this position even stronger: "Society faces a global challenge to ensure that consumption does not deplete resources. In this context, growth and development are not in opposition to sustainability and the environment. It is about developing and identifying the technologies that can help drive the sustainable transition.” He illustrates this point with two projects: one that utilises drone images and artificial intelligence (AI) to help reclaim and restore former mining operations at a lower cost, and another that uses a digital model developed in collaboration with major California municipalities to evaluate hyper-local air quality in cities in real time.